Superdry women’s Ella lace panelling dress. This flattering skater dress features short sleeves, a button fastened keyhole on the back and lace panelling throughout. 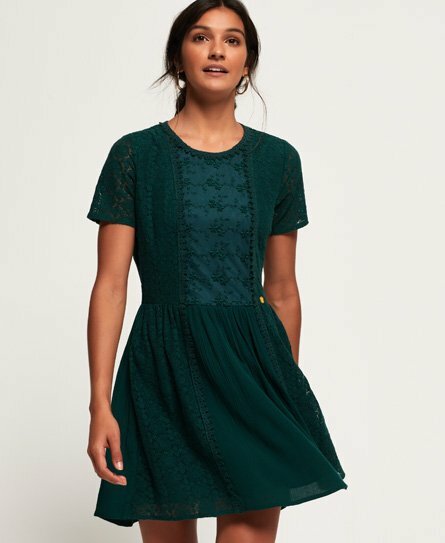 The Ella lace panelling dress is finished with a Superdry logo badge above the waist and crochet detailing around the neck and down the front.